Youth Ministry spans from 6th – 12th grades, divided into Middle School and High School groups. 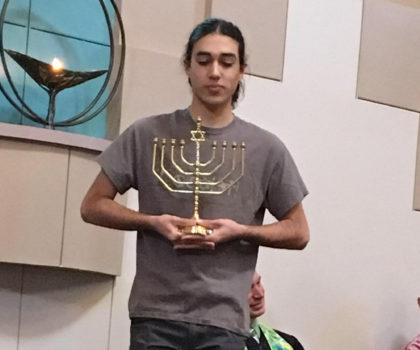 Our youth meet together on Sunday mornings, attend and participate in worship services, volunteer, take part in area activities, and enjoy fellowship and fun. 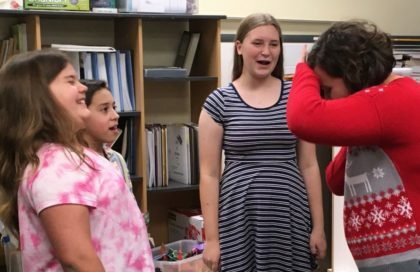 Each year our Youth group and its programming dynamically changes to reflect the interests and needs of the youth who participate. 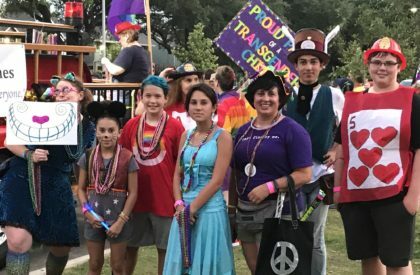 Youth from both Middle and High School experience education and advocacy when they attend Houston events like the Gay Pride Parade and Women’s March. 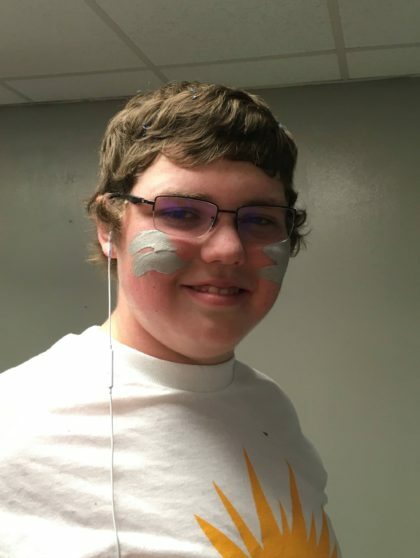 They help to build community here at church by playing key roles in the events that are put on for younger children such as the Fall Festival, Easter Egg Hunt and Splash Day. Last year the Middle School constructed 1,000 origami cranes, which were on display in our Cockrell Fellowship Hall. 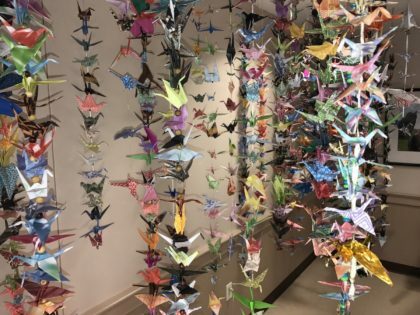 The youth learned about the impact of the atomic bomb in Hiroshima, and will send their cranes to join millions of others from around the world at the Children’s Peace Memorial there. This year they will implement a “Before I Die” wall for the congregation, as part of a unit on death. 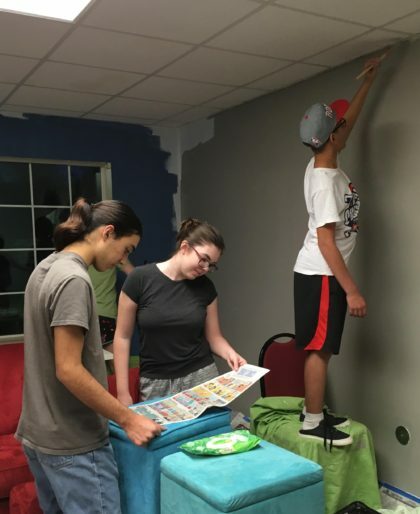 The High School youth decided this year that their room needed sprucing up, and embarked on a project to clear it out and repaint it. The sense of ownership and comfort that this has provided is clear as they actively and openly share their thoughts. 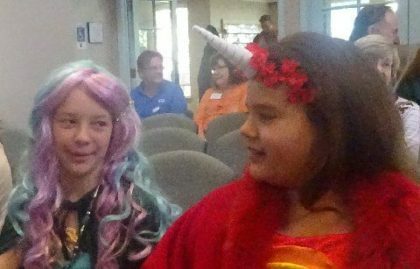 Currently they are exploring the Six Sources of Unitarian Universalist beliefs. This unit provides experiential learning and encourages them to prepare their input and to engage in discussion and debate. 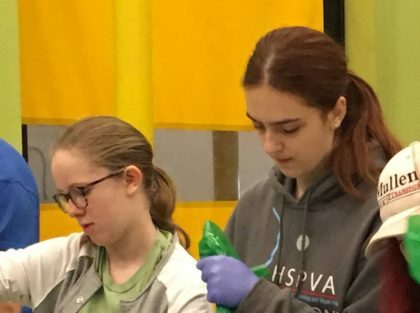 High school youth also participate in community activities such as the annual Clear Creek Trash Bash, preparing meals for Family Promise, and volunteering at the Houston Food Bank. 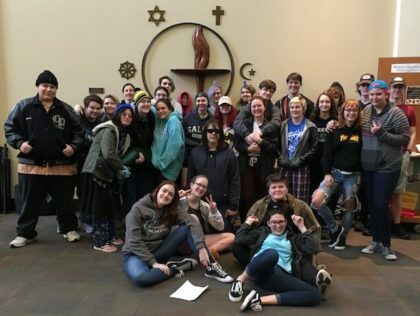 In addition, they are involved in Houston Area Cluster youth activities, including attending Southwestern Unitarian Universalist Conference weekend rallies, one of which the group plans and hosts.